Vinotherapy: Could Wine Be the Secret to Anti-Aging? Like to de-stress with a glass of vino? Then you may want to unwind with the latest spa trend—vinotherapy. What is vinotherapy? A trend that uses wine by-products, such as grape seeds, skins, and stems to heal and rejuvenate the body (think Merlot facials, Sauvignon massages, Chardonnay scrubs). Like to de-stress with a glass of vino? Then you may want to unwind with the latest spa trend—vinotherapy. What is vinotherapy? 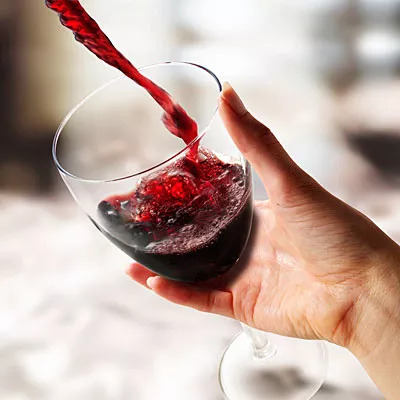 The use of wine by-products, such as grape seeds, skins, and stems to heal and rejuvenate the body (think Merlot facials, Sauvignon massages, Chardonnay scrubs). Scientific research has found that grape seeds, skins, and stems are rich in phytophenols, which are natural compounds that reduce damaging free radicals in the body, and resveratrol, a compound that spurs new cell growth and firms skin. You can treat yourself at home too, with skin care products from beauty companies like Caudalie, The Grapeseed Company, and The Body Shop.